Thanks for coming on Sunday at the contact improv workshop at Chisenhale. If you were interested but could not make it, send me an email contact@mariechabert.com and I’ll sign you up for the newsletter to keep you updated with CI events. 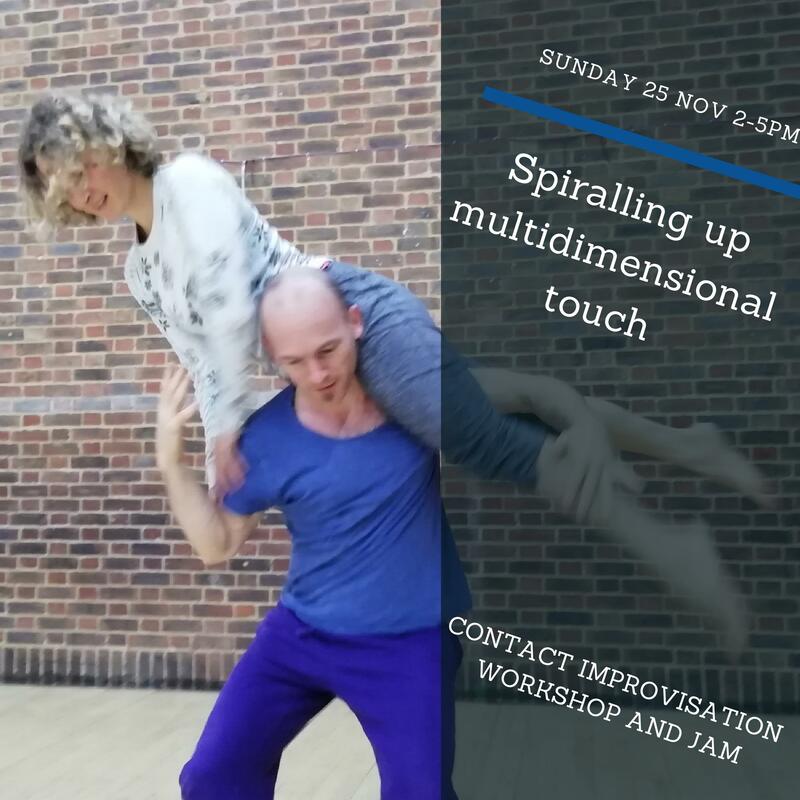 We are excited to have a new co-created contact improvisation workshop between two long-time friends, Marie and Pepa. The beginning of the workshop is an opportunity to connect with others using methodologies to bring a more conscious touch, using sensation to access ways to explore our imagination. We will be working on our own and with others, awaking the body and its multidimensional surfaces. The second part of the class will focus in opening our awareness to the volumes of the body. Working with the relationship to gravity, allowing to connect to others and the space through spirals, twists and rolls. Rolling on and off, up and down and spiralling to make our body lighter while being lifted. This workshop is accessible to all levels of experience. We encourage anyone who wants to achieve a greater connection with their bodies using techniques to let go, trust, learn to listen, to connect with others through touch and break through fears and limitations, opening up new possibilities and ways of expressing oneself. Marie and Pepa are both dance artists who met while studying at The London Contemporary Dance school. They then went onto performing, teaching and choreographing internationally on various projects. Bringing dance to a wide audience, they are passionate about sharing, keeping feeding their soul through collaborations and experiments.